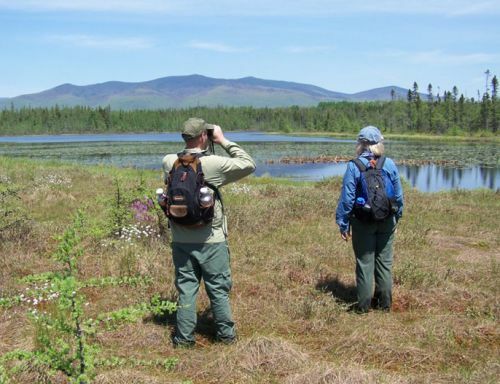 The Little Cherry Pond Trail begins on an ice push rampart at the edge of Cherry Pond, a 100-acre pond teeming with wildlife and offering spectacular views of the Presidential Range of the White Mountains. At the end of the trail at Little Cherry Pond, there is a viewing platform where moose, beaver, otter, waterfowl, and osprey are often seen. The Little Cherry Pond provides a fascinating walk through the heart of the Silvio O. Conte National Wildlife Refuge. It winds through six different forest communities including black spruce, tamarack, balsam fir, aspen, and Black Spruce-Tamarack Boreal Bog.